Problems of truancy, violence, and discipline can contribute to many schoolchildren in industrialized societies graduating from school without mastering basic skills. Increasing parental involvement has been widely considered as a means of overcoming these difficulties, and significant amounts of funding are available to programs which promise to increase parental participation. However, it is still not clear whether schools can really act on parental involvement. Using a randomized experiment run in the school district of Créteil, France, we can show that simple meetings between parents and the school head can lead to substantial improvement in parental involvement and student behavior. In particular, by the end of the school year, the program is associated with a decline of about 25% in truancy. We also show that the behavior of all students in the selected classes improved, including those whose parents did not participate. The school district of Créteil is a densely populated area of suburbs east of Paris with large populations of recent and second-generation immigrants. These parents face numerous barriers to navigating the hierarchical education system: many speak limited French and work far away from local schools. In this environment, we sought to discover whether increasing parental awareness and involvement has the potential to improve children’s educational success in local middle schools. At the beginning of the 2008–2009 school year, parents in about 200 sixth-grade classes were asked to volunteer for a program of three facilitated discussions with the school staff on how to successfully navigate the transition to middle school. Around 1,000 parents (22% of the total) volunteered for the program. In a randomly selected half of the classes, the parents who had previously volunteered were invited to participate in the discussions. By randomly selecting a subset of all the parents willing to participate in the program, we were able to compare parents who participated to a valid comparison group: parents who would have participated in the program had they been given the opportunity. This allows us to separate the effects of the program from the effect of parents’ preexisting involvement in their children’s education. Discussions were facilitated by the school head, drawing upon precise guidelines designed by the district’s educational experts and were open to all volunteer parents in the treatment classes. Facilitators were given standard materials, including a DVD explaining the purpose of various school personnel and documents explaining the functions of the various school offices. Parents in the selected classes who had volunteered to attend changed their behavior significantly in response to the program. They were more likely to make individual appointments with teachers and more likely to participate in parents’ organizations. On a questionnaire of their involvement in children’s education at home, these parents also scored 40% of a standard deviation higher than their volunteer counterparts in comparison classes. This change in parental involvement is of the same magnitude as the initial gap in involvement between blue-collar and white-collar families. However, there were no changes in parental involvement among parents in the selected classes who had not initially volunteered for the meetings. Overall, our results show that low levels of parental involvement are not a fatality in poor neighborhoods. Schools have the critical ability to trigger higher levels of involvement among parents: parental attitudes and school involvement can be significantly upgraded through simple participation programs and that such policies have a potential for reducing disciplinary problems in young teenagers. 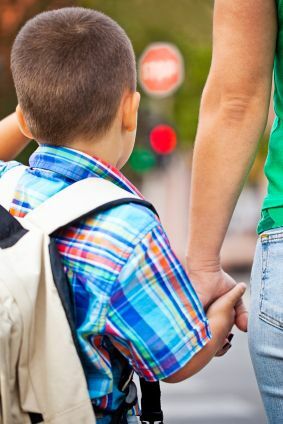 These findings are further consistent with the fact that the initial treatment has first influenced the attitude of children of volunteer parents through repeated family interactions, which has in turn progressively influenced the attitude of children of non-volunteer parents through repeated classroom interactions all over the school year. The fact that these benefits were enjoyed even by students whose parents did not participate in meetings contradicts the view that parental involvement campaigns are bound to benefit only the small fraction of actively participating families. Francesco Avvisati is an analyst for the OECD. Marc Gurgand is Associate Member at the Paris School of Economics. Nina Guyon has a PhD from the Paris School of Economics. Éric Maurin is Associate Chair at the Paris School of Economics. They are the authors of the paper ‘Getting parents involved: A field experiment in deprived schools’, which is published in The Review of Economic Studies. The Review of Economic Studies aims to encourage research in theoretical and applied economics, especially by young economists. 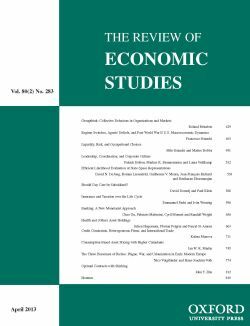 It is widely recognised as one of the core top-five economics journal, with a reputation for publishing path-breaking papers, and is essential reading for economists. Subscribe to only education articles on the OUPblog via email or RSS. Image credit: Crossing the Street. By LuminaStock, via iStockphoto. Great post! Yes, getting parents involved in education is really important. It is so nice to know that parents in the selected classes who had volunteered to attend changed their behavior significantly in response to the program.